Mentalist Mat Lavore tripped up the minds of Castleton students with different activities when he came to campus in March. Think of your favorite dessert. Now take the last letter and use it to think of a breakfast food that starts with that letter. Got it? Now take the second letter of the breakfast food and think of a musical instrument. Use the third letter of the musical instrument to think of a color. 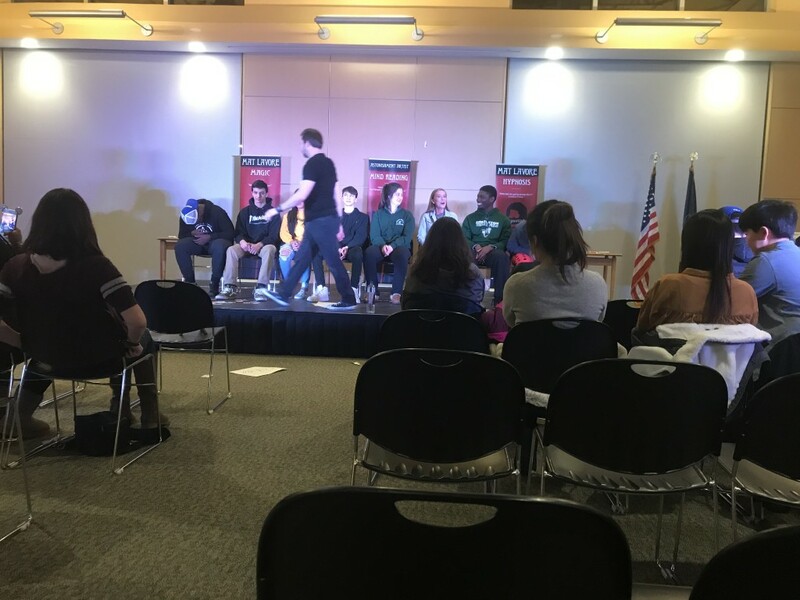 Magician, hypnotist, and mind reader Mat Lavore visited Castleton University on March 24 and opened his show with this activity with a group of 15-20 students in the audience. He wrote down what he thought the color was that everybody was thinking and showed it to the audience. The whole audience gasped and applauded. Lavore had students come up on stage to participate, and included others in the audience as well. He captivated them for the entirety of the show. It wasn’t the page or word in Gregorio’s book, but Lavore then directed us to look in the dictionary at page 246, first column, sixth word: Enemy. Gregorio shockingly admitted that was the word. When Gregorio went to show the audience the word on her page, page 196, it had been ripped out of the book. It was now folded up and placed in the empty card box, which had been held by the audience member for the entirety of the act. But magic and mind reading weren’t the only tricks of the night. Lavore picked eight people out of the audience and brought them up on stage to be hypnotized. Out of the eight on stage one forgot how to drink, one forgot the number seven, one thought his name was Jennifer Lopez and one was stuck in her chair unable to move. Lavore put $100 in twenties on Gregorio’s lap, the one who was stuck to her chair, and told her if she could move her hands to grab the money it was hers. Despite trying with everything she could she was unable to move her hands and grab the money, which she admitted she really wanted. She admits that she was worried and she didn’t think it would work and was shocked when it did. What is the needle trick? Lavore swallowed a roughly three-foot piece of string then around 20 solid, pointed sewing needles. 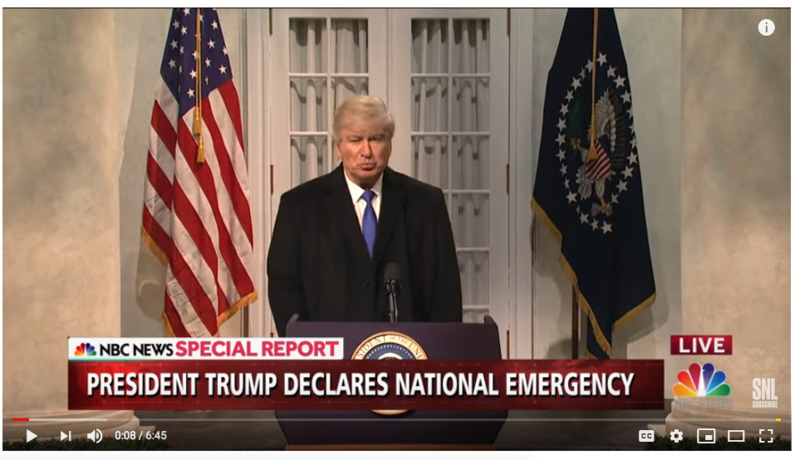 He drank water to ensure everything had been swallowed and had an audience member check to make sure he didn’t spit anything in the water bottle and check his mouth to ensure everything had been swallowed. Moments later, he pulled the string back out of his mouth, but now all the sewing needles had the string placed through the eyes of them. Lavore said he wasn’t going to do any of the tacky magic usually associated with magicians, but that he was here to entertain us and explore the audience’s imagination. He did exactly that. He captivated the audience and the participants during his show following through on his promise.